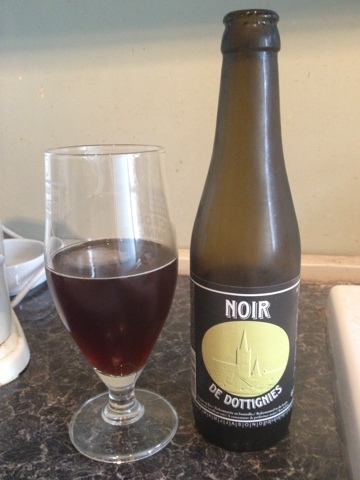 Dark and rick in colour, with caramel, malt, coffee and sticky herbal hops on the nose. 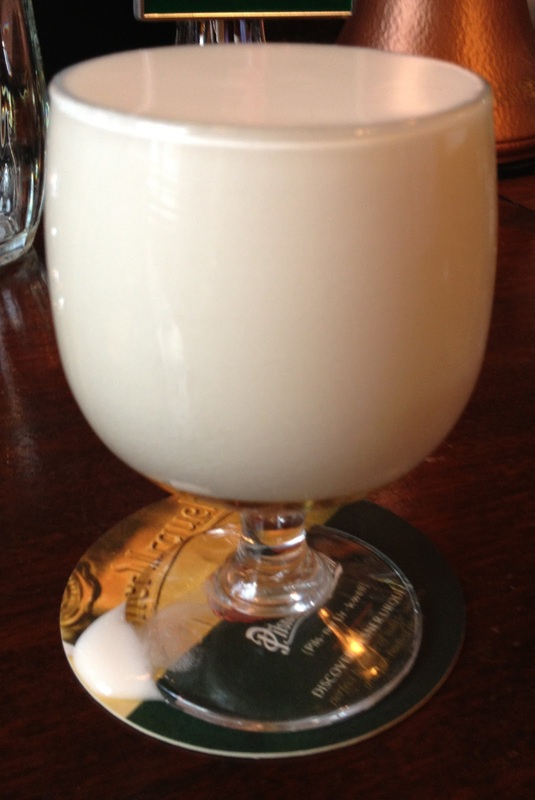 To taste it's well rounded, rich and velvety smooth with light carbonation. It's less sweet than expected, with a malty burnt toast character, chocolate, coffee, and very bitter hops. 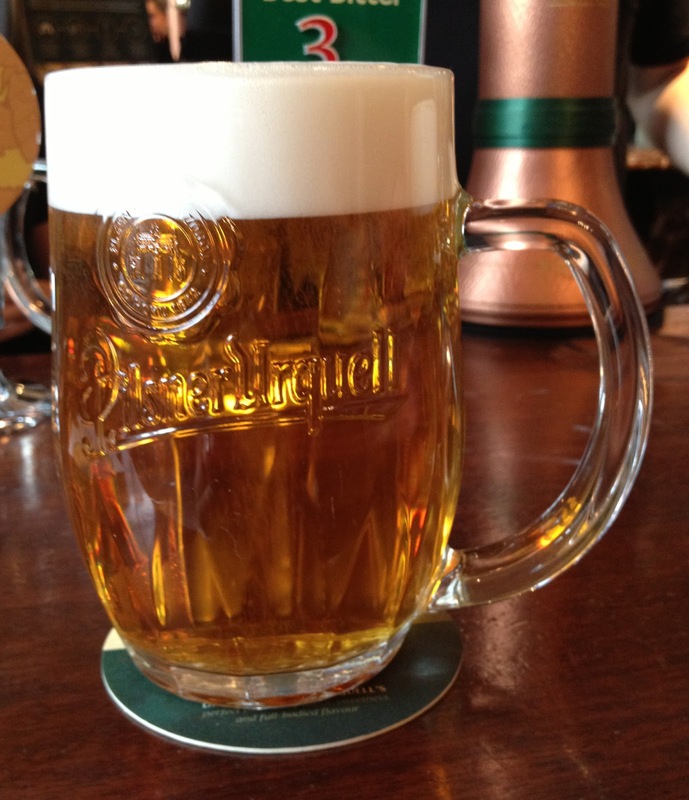 For the first time, Pilsner Urquell have brought over their fresh Tank Beer (tankové pivo) to the UK. The beer is brewed at the Pilsner Urquell in Pilsen, Czech Republic and transported over whilst fresh, unpasteurised and dispensed in the pub via the large traditional Czech tanks. The concept behind Tank Beer is great - the beer being very fresh retains the characteristics of the beer which you just don't get in the bottle. The flavour is fuller, very refreshing and balanced, but with a growing hoppy aftertaste which means it gets better the more you drink. It has a slight savory note on the nose and the aftertaste. We also got a chance to try Milka - a foam beer drink, popular in the Czech Republic - made by manipulating the tap so that all that comes out is the head. The resulting foam tastes sweeter, although you do have to drink it quickly before the foam disappears - maybe that's the attraction! For now Tank Beer is only available from the White Horse, but we've been reassured it will be a permanent fixture. Hopefully the popularity of Tank Beer will mean that this starts to appear in more pubs across the UK. 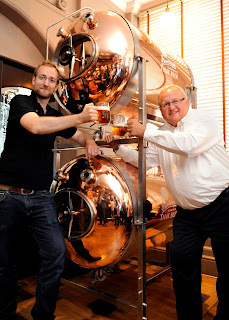 Seeing the glistening copper tanks (or pigs), and tasting the refreshing brew reminded us of many happy days spent with friends in Prague, where our local host showed us a fantastic time taking us to the few bars in central Prague which served the fresh tank beer, and accompanied by lots of pork and dumplings. Our trip to Napa in 2011 was an exciting exploration of Californian wines and it was the wineries experimenting with varieties outside of the staple Cabernet and Chardonnay which gave us the most pleasure. One of the most exploratory of these was the wonderful Goosecross Cellars who, in addition to the typical Napa styles, produce Pinot Gris, Chenin Blanc and even Tempranillo. They also produce this delicious sweet Orange Muscat, one of eight bottles we managed to smuggle back with us in our suitcase. It's almost colourless in the glass and as soon as you pour it you can smell the delicious, grapey intensity of the muscat grapes with a delicate floral perfume. It tastes like fresh peaches and ripe mangos, the sweetness tempered by a brisk acidity and something of a hop like bitterness. The wine leaves your mouth coated with flavour, the tropical fruit salad lingering for an age. It really is delicious and I heartily agree with the Goosecross recommendation instead of serving this wine with a dessert, drink it as a dessert in its own right. But it would be great with fruit or even blue cheese. I debated whether or not to post a review of this wine, it's gonna be difficult to get hold of here in the UK, but it reminded us of our wonderful time in Napa so here it is.